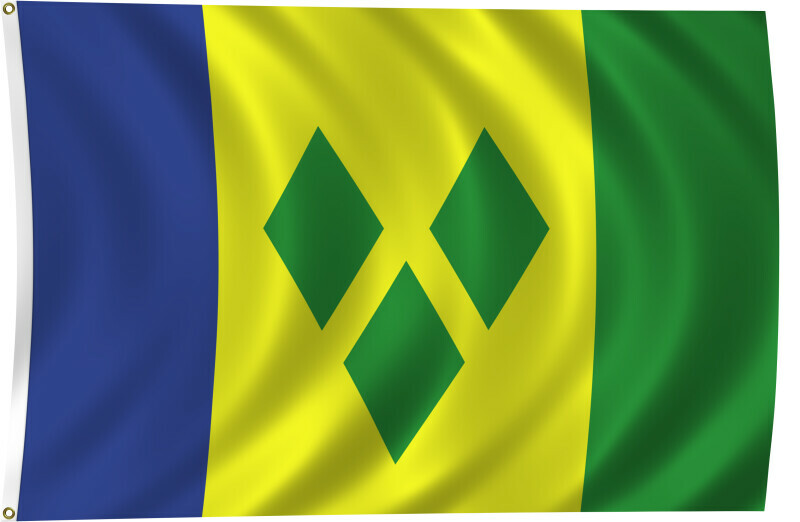 Color flag of Saint Vincent and the Grenadines. Three vertical bands of blue (hoist side), gold (double width), and green; the gold band bears three green diamonds arranged in a V pattern. Flat color and black/white versions of world flags are available on the Clipart ETC website.